It wasn’t a night to be a defender as the blustery conditions and heavy rain were making it difficult and touches had to be sure. before kick off because of a back spasm. Then inexplicably after 14 mins Stockton pressed self-destruct and defender Poole caught in two minds touched a back pass past the onrushing keeper Arthur leaving O’Neill an open goal to equalise for RCA. Captain for the evening Ward was then replaced at left back by new signing Roddam and RCA were doing the pressing. Stockton held firm and got themselves back into the game, Carters shot skidded up off the wet ground and nearly snuck in off the RCA keepers shoulder and another mesmerising run by Hayes saw his cross slice off the defender over the bar for a corner. In the end to end game it was RCA striker Butler was put through only for Arthur to save at his feet before he could pull the trigger. Stockton retook the lead in the 30th minute when Woodhouse fired home a loose ball from 15 yards and barely a minute later RCA gave the ball away too easily and allowed Craggs to pick his spot from edge of the box to make it 3-1. Stockton had the bit between their teeth now and Hayes and Woodhouse both brought good saves from RCA keeper Patton, while at the other end Butler headed over the bar when well placed. Halftime 3-1. RCA dominated possession in the early stages of the second half but Stockton were well organised and Mulligan (D) and Poole were holding firm restricting RCA to just a couple of half chances. RCA were frustrated by the resilience of Stockton and despite making early substitutions could only produce 2 or 3 tame shots straight at Arthur. Coleman, who led the line brilliantly, had the ball in the net again but was judged marginally offside and Hayes and Carter continued to be a thorn in RCA’s side with their pace. With 6 minutes left and RCA losing faith Muligan (N) won the ball back for the umpteenth time. the ball was played to Hayes who broke past the defender and played the perfect crossfield ball to find Carter flying in from the right, Carters superb touch took him past the defender and he coolly rounded the keeper for a well-deserved goal. The final whistle brought a sigh of relief that Stockton are finally on the board this season and renewed belief that if they continue to show the same effort and skill levels results will come. 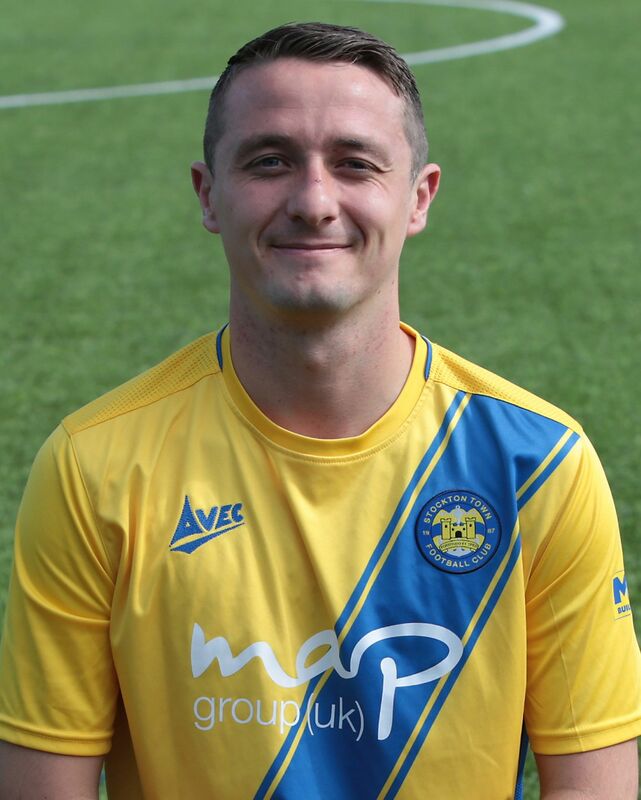 Man of the match …….. lots of candidates Poole, Mulligan (N), Hayes, Coleman, but Joe Carter gets the nod imo.